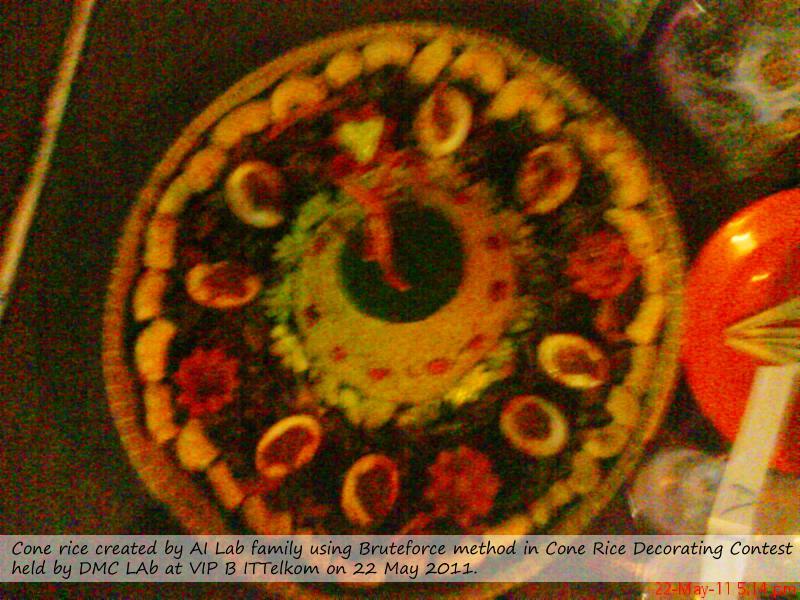 My Family (Artificial Intelligence Laboratory) here joined on cone rice contest that be held by DMC Laboratory at 22 May 2011. Mixed Garden by dried tempe, fried green-beans, tiny fish crispy! Hottest and Craziest sauce on the Golden Egg! Chilli button excite your tongue to rich the top of taste! Beautiful Fence composed of the most crispy chip ever made! 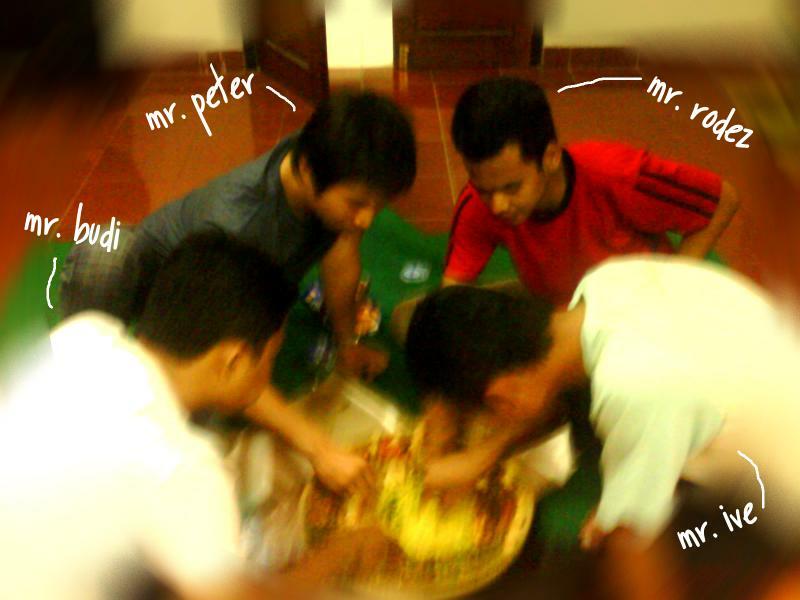 But, although we didn't rich it, we all are very happy and after that we had dinner event in our laboratory together. 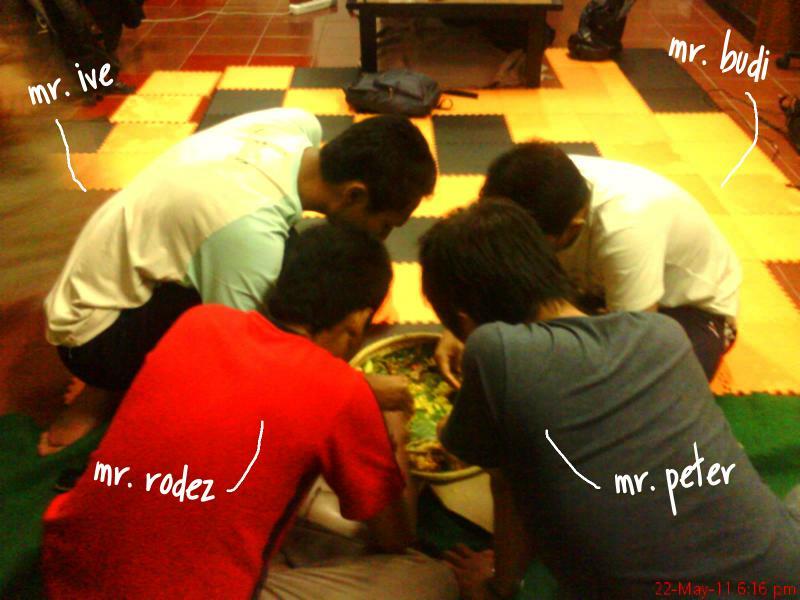 Me (red T-Shirt) enjoy to fill left stomatch full of the delicious things! Hey Peter! are you just watching them eating up your allotment? 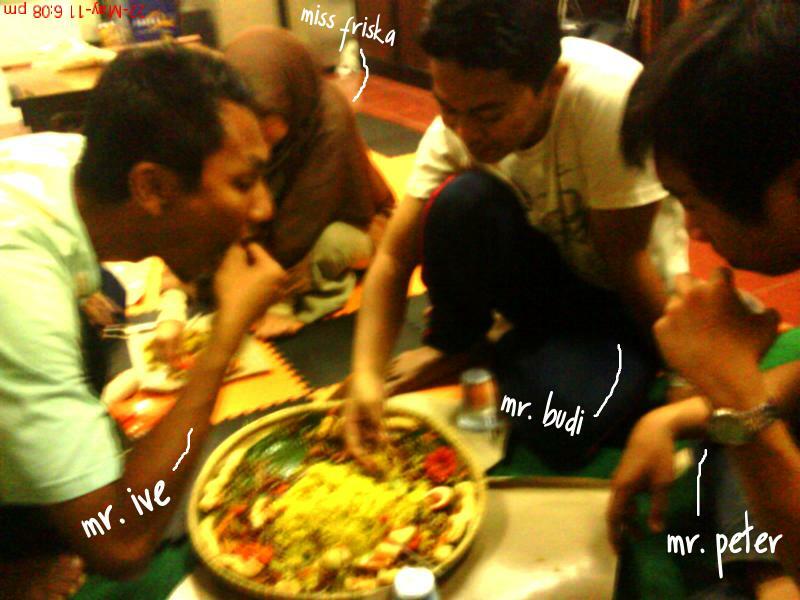 In the running out our stomatch capacity, Mr. Budi ordered us to hold on until nothing left.